As I have just returned from my glorious tour around Italy I felt it prudent that I create a few round-up posts for all of you telling you all what I loved and what I would recommend others to see and do. Florence is a beautiful city, but it’s a city of interiors. By that I mean, there is more to see on the inside than on the outside. Florence has numerous splendid galleries full of Renaissance beauties such as the Uffizi, the Palatine Gallery, the Bargello, and the Gallerie dell’Accademie. If you’re going to Florence to see art then YOU MUST go to the Uffizi. In its’ two floors this gallery houses an impressive collection of priceless works of art. They have everything from Botticelli to Carracci and everyone in between. If you can get line skip (available with the Firenze Card) you can show up whenever, if not I recommend either getting there right as it opens, or go after 3pm when the gallery starts to slow down. The Palatine Gallery is located within the Palazzo Pitti (which itself has 5 galleries of different nature to see) and is the second best place to see some good paintings in Florence. 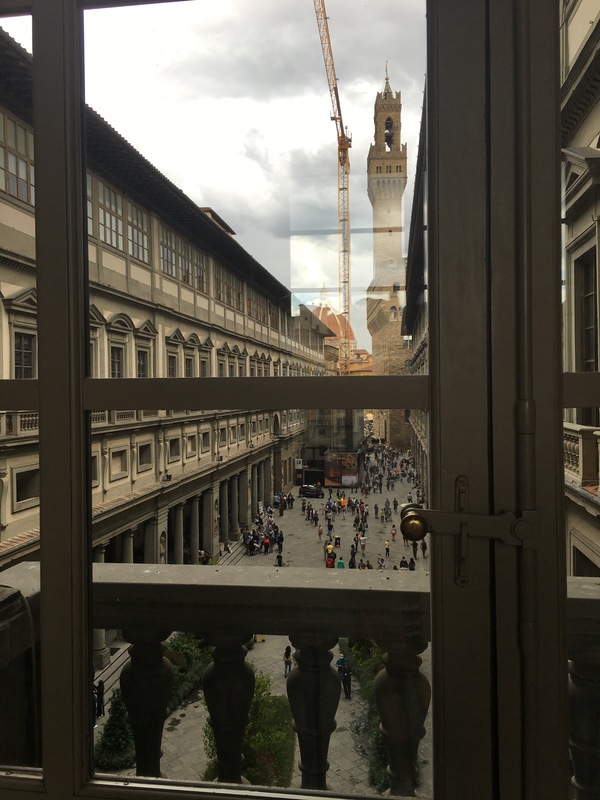 Although both it and the Uffizi are old buildings that once were used for different purposes than just galleries, they are both presented in very different ways. The Uffizi is dressed like your standard gallery: each room contains paintings paired together based by artists, time period, or location of origin. 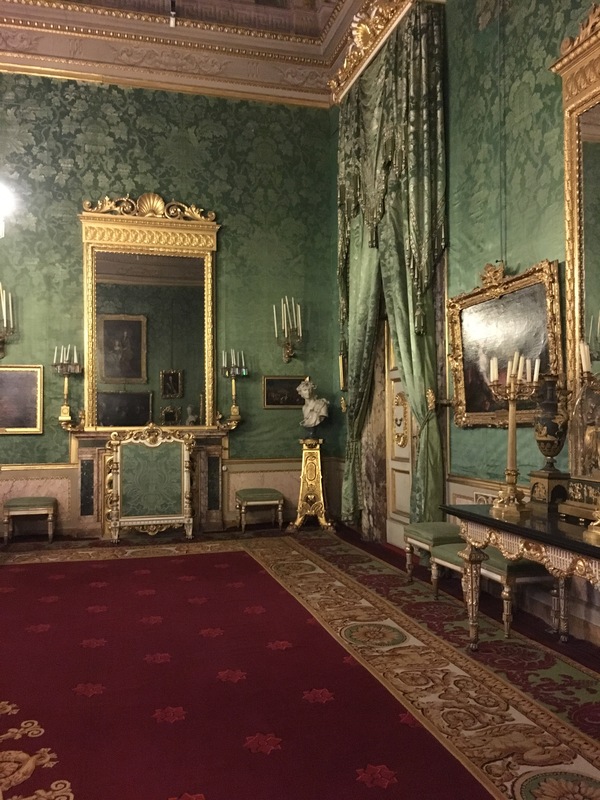 But the Palatine Gallery is located in the old ducal and royal rooms of the palace and therefore are displayed betwixt lavish wall coverings and in rooms dressed in their imperial glory. You really get a feel of what it was like to be ridiculously rich and a Medici or a Bonaparte in this gallery (Think Louvre’s Napoleon III rooms but with Raphael and Perugino on the walls). To me these two can be interchangeable depending on what your priorities are. 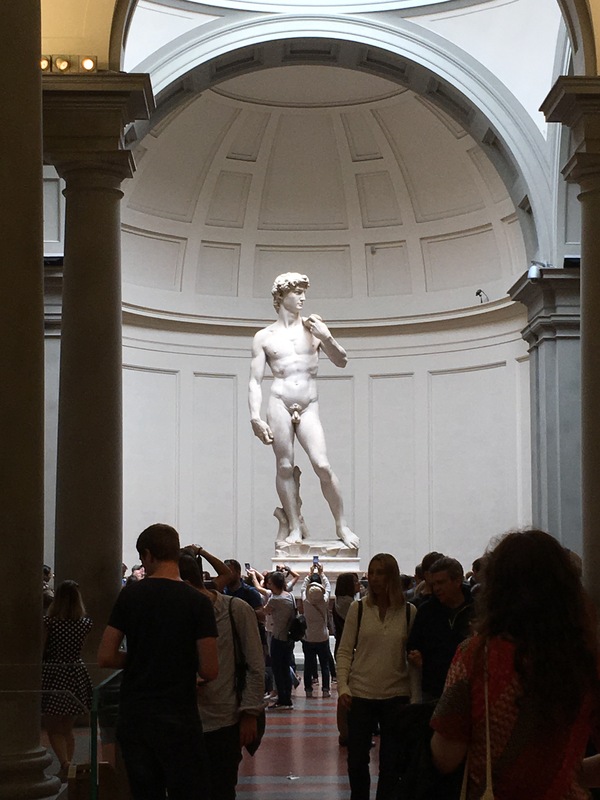 If you are coming to Florence to see the most famous works, then you will probably opt for the Galleria dell’Accademia to see Michelangelo’s David. Now there is more to see there, but David truly takes the cake and it is a small museum and very crowded and can easily overwhelm even the most crowd friendly person. The Bargello on the other hand is much less busy, but houses an older master (and my personal favourite bronze caster) Donatello. This gallery also houses some great Michelangelo work too, but it does not have the David. I guess this one is really up to you and what you’re more inclined to see. Both galleries are laid out similarly and house similar artists, the only difference is that one has the famous David and the other has less crowds and Donatello. 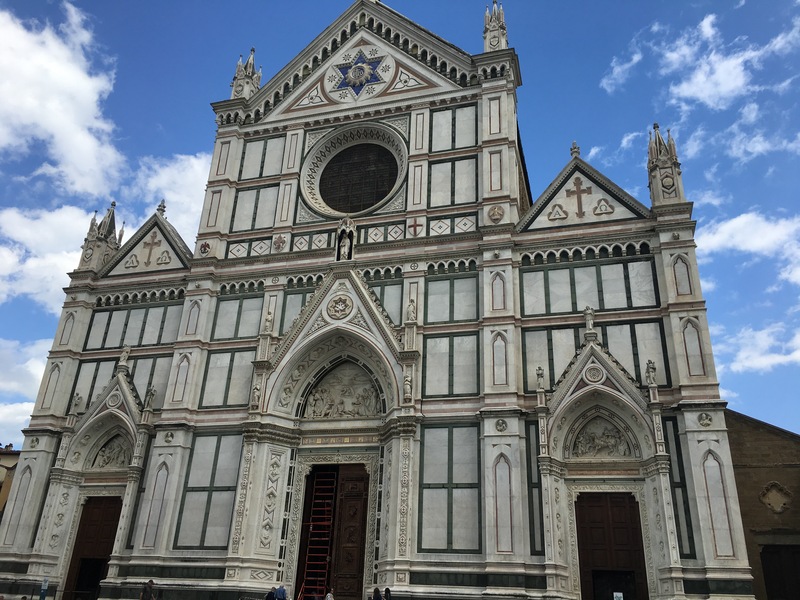 Another amazing thing to do in Florence is to go to churches. Seeing as it is close to the papacy in Rome and also was home to one of the most rich and most famous powerhouse families, the Medici, expect Florence to have numerous lavish and crazy gorgeous churches and cathedrals such as Santa Maria del Fiore, San Miniato al Monte, Santa Croce, and San Lorenzo Basilica. Or as the locals have lovingly dubbed it, Duomo (means dome). This cathedral, protected by UNESCO, is free to enter, but if you want to do the extra stuff you have to go to the special ticket office and grab a ticket that lets you climb to the cupola (top of the dome), the bell tower, to enter the opera gallery, Santa Reparata crypt, and to enter the Baptistery. This easily can be a whole day of fun. I would recommend going first into the cathedral and tour around the nave and then when you’re on the way to the exit go down into Santa Reparata which is the remains of the ancient remains of the old church that used to be on the same site. After this go line up for the Cupola and wait and wait and wait (if you have the Firenze card you can go into a shorter line, but it’s still like a 45 minute wait). Similar to climbing any tall monument, you need to do it once, but probably only once. With the dome you get to see Brunelleschi’s genius. 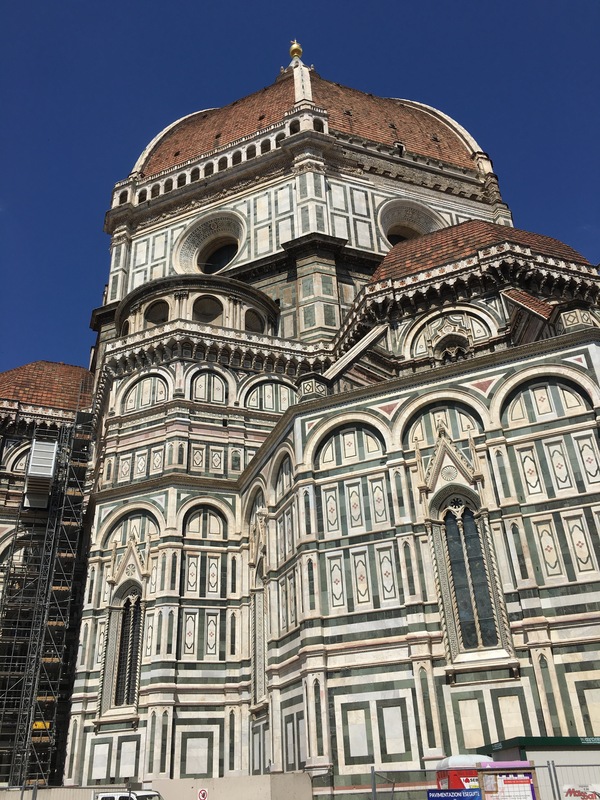 HISTORY LESSON: the technique of making domes had been lost since antiquity, but Brunelleschi figured out how to make them again in the 1400s. He used a hollow herringbone technique to make the dome strong but light and you get to climb inside the hollow walls, spiraling up to the lantern where you will get a unique view of the city. After the dome go to the Baptistery and marvel at the mosaics and frescoes inside then tour around outside and gaze at the bronze doors depicting the old testament and new testament stories. And if you still have energy go up Giotto’s bell tower and see the opera museum (these last two I did not do, but they are available with the ticket). To get here you have to go on a crazy gorgeous walk through some of the lesser busy areas of Florence. You pass through the old city wall, climb up by a lavish rose garden, go past a turn off for the Forte Belvedere (which is a cool walk and is a free place to look at Florence), and up more stairs to the Piazza Michelangelo where you see a bronze copy of the David with yet another view of Florence, but don’t stop here climb more stairs up to the glorious San Miniato al Monte! This old church is decorated with beautiful frescoes and has lovely, glittering mosaics above the portals.This is an active monastery and there are monks walking around everywhere. They also have a store where they sell liquor and sweets AND MONK MADE HONEY (tip: they are all weird honeys with strong flavours, be very careful which honey you pick). In the back and sides of the church is a beautiful cemetery which you can walk around and see lovely tombs and crypts that is equal parts macabre and spell-bounding. Now, you will not be walking through the safest looking area to get here if you are coming from the city center (i.e. Piazza Vecchio) but have no fear, you’ll be fine it is only like a 10 minute walk from Santa Maria del Fiore. This church is home to many famous tombs, so many that it might surprise you. Among the most famous people resting here are Galileo and Michelangelo. It is a lovely church an equally lovely courtyard that gives viewers a happy, uplifting feeling. Medici fans raise your hands! It’s hard to miss the Medici balls which are all over the city of Florence, and they are no more present than here in their favourite church of San Lorenzo. This church is made up of 4 different museums, which means 4 different tickets SO FRIENDS BUY THE FIRENZE CARD, IT WILL BE WORTH IT. Once inside you can see the Library, the old and new sacristy, the Medici Chapel, the crypt and the museum. Honestly, this church is so lavishly decorated (purple porphyry is everywhere, this is an extremely expensive marble like rock only found in Egypt which I’m pretty sure is all used up now) and is home to some of the greatest architectural names, i.e. hey Brunelleschi nice old sacristy! 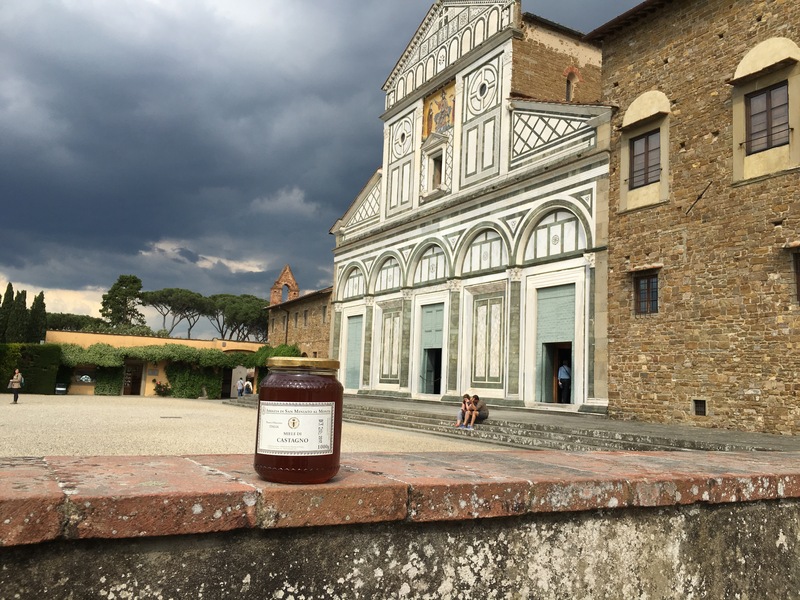 It really helps visitors to understand just how much money those dang Medicis had. I mean, come on. It’s so so so so so so so beautifully decorated that beautiful does not even begin to explain it. My final recommendation, which I have been saying endlessly, is if you’re only in Florence for a short amount of time it is really worth it to buy the Firenze card. It is 72 Euros for 72 hours of fun for over 70 different monuments. I saw everything above and more with the card and was able to skip lines and skip queues. It is worth it! Let me know what you loved in Florence if you have been there and if you have any different recommendations for me for the next time I visit!